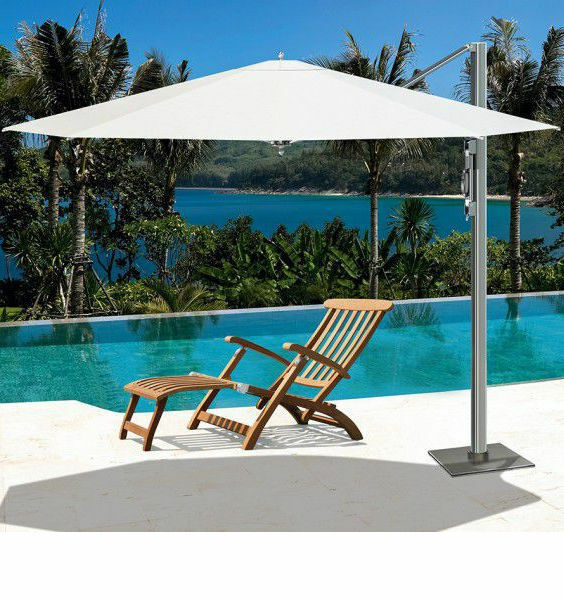 The Flamingo cantilever parasol has a frame in aluminium with an anodized satin finish. 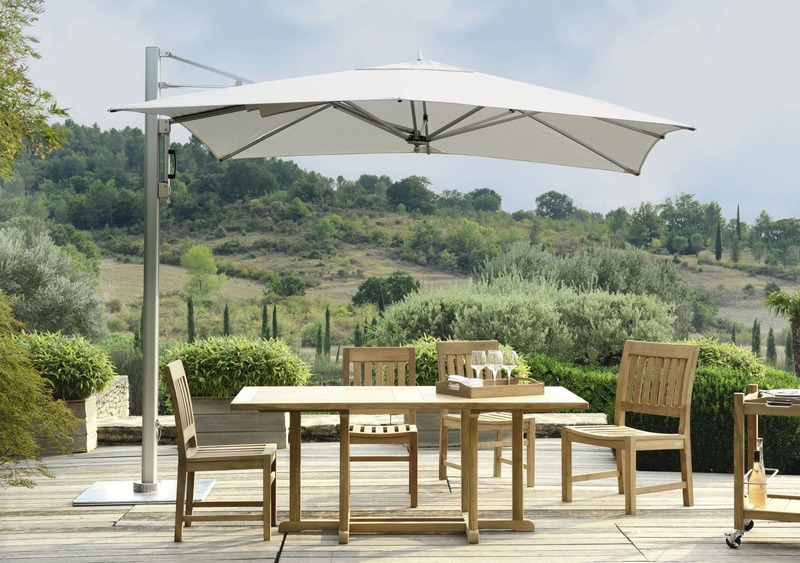 The handle integrated in the mast permits easy opening, while a pivot in ultraresistant aluminium permits 360° rotation. 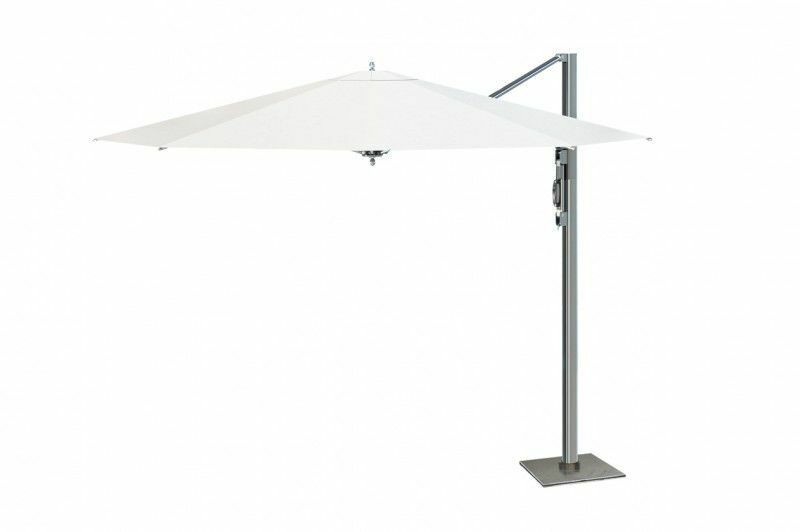 Can be placed in any exterior environment. Storage sack supplied.